“When we win a Golden Globe, it helps us sell more shoes,” said Jeff Bezos at the Vox’s Code Conference back in 2016. This single statement might not make sense at first, yet it thoroughly explains the current battle to keep millions of credit cards linked to their subscriptions, be it Amazon, Netflix, Apple or YouTube. The fight for who’s going to conquer Hollywood has already started, and it might soon have a winner. This isn’t the story of companies like Warner Bros. started out as entertainment companies. This is the story of tech companies, started out as bookstores, expanded in shoe e-commerce, to target the Golden Globe. And that has anything to do with glory and fame, but it has all to do with growth and revenues. When I refer to Silicon Valley in this article, I’m not talking about a geographical location but rather a mindset and a way of thinking about entrepreneurship that is all but conventional. When Rachel Brosnahan won 2018’s Best Actress Golden Globe for Amazon’s The Marvelous Mrs. Maisel, Jeff Bezos might have been celebrating in a way you would not expect. Not with a bottle of Champagne, neither with fine food. He most probably was checking his store revenues. Amazon’s business strategy, which can be defined as a cash machine is based on having narrow profit margins while taking advantage of the so-called cash conversion cycle. That might sound like a financial trick, but it’s not. Mastering the cash conversion cycle means, first of all, build a super efficient business, with trusted suppliers and a strong brand recognized by its customers. None of those three things is a growth hack and all three together required Amazon decades to build. Yet as of today this kind of strategy is paying back many times over in business growth. If we look at the net sales of the group they went from $74 billion in 2013 to over $177 in 2017. If that is not enough, the net profit margin went from 0,3% in 2013, to 1,7% in 2017. That’s an astonishing growth (more than 5x) for a company that runs at narrow margins to finance its growth and to kill its competition. However, there is another statistic we want to look at to have a better idea of what’s going on with Amazon growth: that’s Amazon investment in the production business. In the old world of massive and bureaucratic corporations, the company gets divided into distinct segments. Those segments are siloed. Therefore there is no integration, communication, neither understanding between one business unit and the other. While I’m sure by becoming a multi-billion dollar company Amazon has also become bureaucratic and way slower than it could have been as a startup. It is undeniable that at higher level Amazon understands the importance of running business segments like those are products offered to the same customers. As shown in the case of Amazon trying to compete for the Golden Globe, the company leverages in its premium members to provide them with “more services” that in reality become more sales for its online store. includesTom Clancy’s Jack Ryan starring John Krasinski; King Lear, starring Anthony Hopkins and Emma Thompson; The Romanoffs, executive produced by Matt Weiner; Carnival Row starring Orlando Bloom and Cara Delevingne; Good Omens starring Jon Hamm; and Homecoming, executive produced by Sam Esmail and starring Julia Roberts in her first television series. We acquired the global television rights for a multi-season production of The Lord of the Rings, as well as Cortés, a miniseries based on the epic saga of Hernán Cortés from executive producer Steven Spielberg, starring Javier Bardem, and we look forward to beginning work on those shows this year. While we don’t know exactly how much Amazon Prime brings in revenues (the revenues are spread across product and service sales, and the costs get allocated in cost of sales), we can assume Amazon Prime has become a critical asset in Amazon overall business strategy. When we think of a successful membership service that has been able to launch a popular TV series, undoubtedly that first thought goes to Netflix. However, the Netflix business model is skewed toward the so-called subscription business model. This business model is pretty simple; you pay a fixed amount each month in exchange for a service that is usually ads free. While this model works and it has helped many companies to gain traction. It is also capital intensive. For Netflix to increase subscriptions and retention, it has to continuously invest billions in production costs, to bring back as many eyeballs on its platform. While this model is sustainable when a company keeps growing and keeps getting outside investments, it might also lead to sudden losses if growth stalls and retention worsen. In this respect, the Amazon business model might be more robust, and it might give it more freedom to experiment with the Prime Memberships to see how it fits into its overall business strategy. Lately, Netflix itself has been experimenting with advertising its Netflix originals to a small audience as reported on Tech Crunch. Although this was only a small test for a small percentage of members and mainly focused on promoting Netflix content, it was perceived badly by the few who saw it. That might make the Netflix business model more fragile. Companies like Netflix have been able to construct a recognized brand around the world with a simple subscription-based business model. This model works for several reasons. It guarantees predictable income (each month, unless something disastrous you start from the same revenues baseline). Customers trust (the subscription business model pushes the company to build long-term relationships with customers). And it requires a lower sales and marketing effort – in theory (as you don’t need to start over again to gain the same level of revenues you had the previous year). It also has some critical drawback to take into account, especially for a business built solely on this model. First, as in most cases unsubscribing from that program is frictionless, the risk of a high churn is real and incumbent. Second, maintaining a stable customer base might be capital intensive as you need to create always new content to make those customers come back and to attract new ones. Third, as competition will grow, it will be harder to keep the member’s baseline intact. Just like Amazon is starting to invest billions in producing shows for its Prime Originals, new entrants are coming. What I find compelling about how new tech companies approach business strategy is the relentless focus on looking at customers to understand their needs independently from the logic of business segments or traditional corporate thinking. Amazon example on how it’s investing in producing TV series to leverage on its Prime Members tells us that those same tech giants are ready to take over any industry if that helps their growth. Thus, if we could think Hollywood would be safe from Silicon Valley hostile take over, we got it wrong. The same tech industry has been built as much on people’s imagination as on financial metrics. While in the past Hollywood production companies were the ones making movies about Silicon Valley; the opposite will be true. In the future. 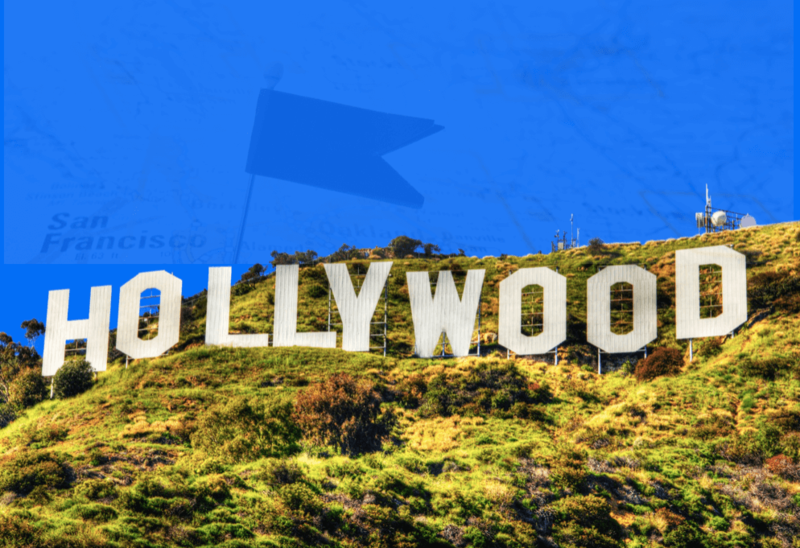 Silicon Valley companies will be making a TV series about Hollywood. This is the epic battle to conquer billions of eyeballs worldwide.